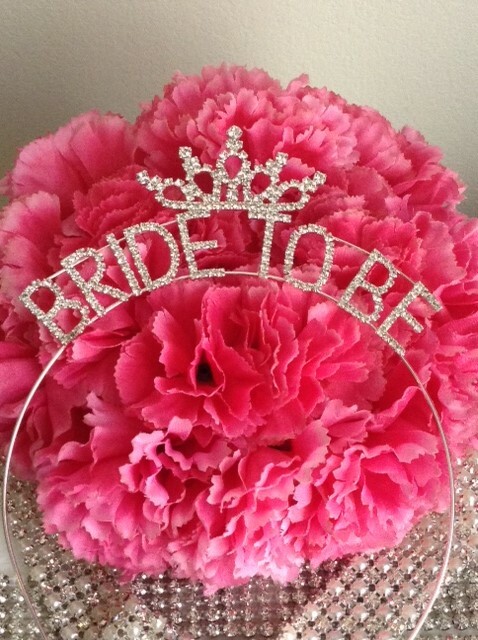 Every Bride-to-Be needs a Tiara to wear at her Bachelorette Party or Shower. This sparkly headband fits the bill perfectly. Our wood keepsake hinged box is done in a black "Ebony" wood and has a gray lining in both the box and cover. Both the cover and the base of the box have four rows of trim design that wrap around the entire box. Overall dimensions of the box are 7" x 5.5" x 3", interior measurements are 5.875" x 4.25". 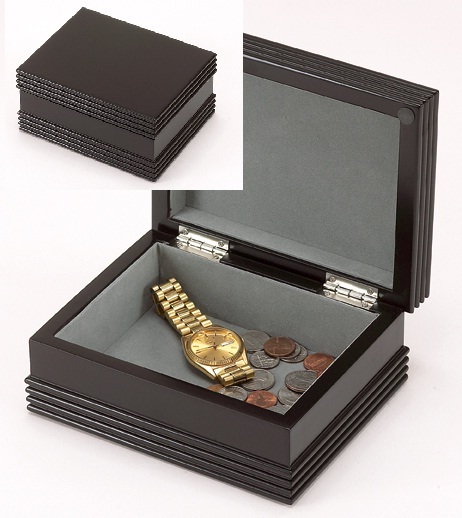 This box is great for many uses and has silver accented hinges.